Last I checked, Instagram has over 300 million users. And if you think that the amount is small, wait until you see the growth that everyone is expecting through visual marketing. And trust me — it is always exciting to find effective ways to grow an engaged audience on Instagram account. Big brands such as Virgin Airlines, Taco Bell and American Express have taken Instagram marketing to a whole new level. So how they did it so successfully? Carry on reading! If you want to have more engagement, posting consistently is the key. On average, you are required to post at least once on Instagram. Why? Followers wouldn’t want to follow Instagram account that has no interaction. It’s plain boring, right? At this time of writing, Instagram is a social media platform that has no algorithm in terms of display. Therefore, the more you post, the better visibility (and engagement) you will get. Sure, using Instagram hashtags allow you to reach a bigger range of audience; but that isn’t the reason for you to use dozens of hashtags in just one post. You have to remember that using the right hashtags will help you to reach a bigger range of audience and not the sub-par ones. Need help finding the best hashtags to use? Check out this resource by Websta. Social media success especially in Instagram is all about mixing with the right, like-minded people. Yes, this means that you need to start following people who are within your niche starting from your influencers. When you choose who you follow closely, you are opening more doors to connect with their followers, build a better following and at the same time, sharing related posts directly from them. If you need help finding followers to follow on Instagram, check out these apps: Pixifly, Banjo and Instaround. I got to admit that I’m not the source for this. As a matter of fact, I found this information on the popular, Buffer’s blog (you can read the post here). If you are managing a contest or simply looking to grow an audience, asking your followers to tag a friend is a great move. In the Buffer’s post, the tactic was done in an event and the results were more than just magnificent. Of course, the number of followers you have in you Instagram account will actually determine the success of this tagging methodology. Instagram is all about sharing the right images and if you lack the mindset like I do, don’t worry — Instagram got us covered with the filters. Filters allow you to create powerful images by using different colour tones to make the images stand out. Researchers from Georgia Tech and Yahoo Labs had analyzed millions of images posted on Instagram and concluded that images which have filters have a 21% highly chance to be viewed and when compared to unfiltered images, these images would have 45% more chance of being commented. My personal preference for using filtered images is by having huge contrasts between both the words and background. In other words, focusing on the ‘what matters most’ on the image is the best way for Instagram marketing. Yes, yes and yes! Contest is pretty old school in social media marketing. We have seen a fair share of contests done on Facebook, Twitter etc, but how about Instagram? Contest methodology may be old especially when you are focusing on increasing engagement but don’t let the ‘ancient’ belief fools you. Contest is a great way to boost engagement and followers more than you can ever image. A great resource to check out is found on Social Media Examiner (if you ever plan to run a contest on Instagram). Want to personalize your Instagram account? Forget about using those standard wordings. How about using emojis in your Instagram updates? Instagram expert and influencer, Sue Zimmerman does it extremely well. Check out her tagline and bio. They are full with emojis and symbols. Uniqueness? Special? Attractive? Go figure! –> And tell me what you think about it in the comments below. One of the biggest mistakes done by many marketers in social media is that they are NOT cross promoting. If you are a fan of Buffer on Facebook, you’ll notice that they have a nice tab on their Facebook page which links you directly to their Instagram account. Now, can you imagine what happens next? You can instantly promote your new Instagram account to all your Facebook fans in just a few clicks. Pretty awesome if you ask me. And don’t let Facebook be the only platform you cross promote your Instagram account. Instagram allows you to promote images across various platforms and I love to share it to my Twitter account, @SocialCopy. Why? I have over 13k followers and this give me instant visibility boost (and engagements) back to my Instagram account. Video marketing is probably the best way to boost engagement, especially when not everything are able to express using images. Allow me to get this straight. Video on Instagram isn’t that popular yet. According to a study made by Locowise, only 10% of all the Instagram posts are based on video. But on contrary, these videos get over 18% comments each, on average. The future for video in Instagram is still very ‘fresh’ and I personally see some great engagement opportunity especially in Instagram. When was the last time you share the love especially when it comes to commenting, like and repost? Can’t remember? Don’t worry — it is not too late to start. If you want to have higher engagement on Instagram (or any social media platforms), you got to engage with your followers and those who you follow. Social media is a human business and you need to interact with others before others are going to interact with you. And if time is a problem for you, ask yourself again. It takes you less than 10 seconds to like, repost or commenting on an Instagram image. 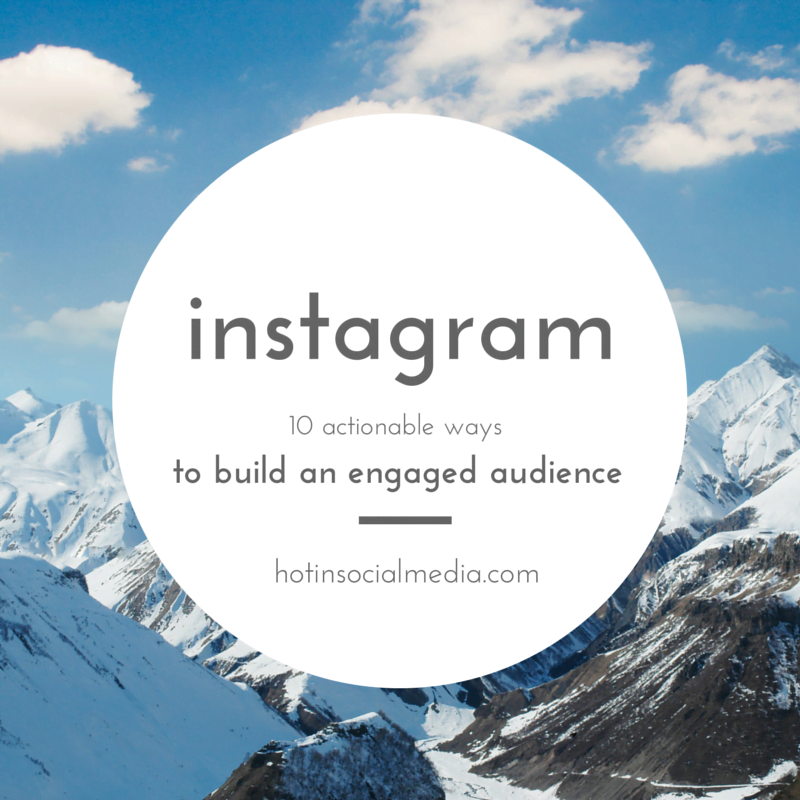 Instagram is a powerful social media platform that focuses heavily on engagement and followers. Instagram success can be achievable when you build one to one connections with your followers / influencers. Are you ready to start marketing on Instagram?